Leasing Options cherry-picks a selection of bite-sized automotive news from the past seven days. This week, news from Mercedes-AMG, BMW, Škoda, Daimler & Geely, Jaguar Land Rover and SEAT. Mercedes-AMG has lifted the lid on a four-door version of its A35 performance hatchback. Called the A35 4Matic saloon, the new model delivers the same performance as its five-door hatch stablemate, but with added practicality. Fitted with a turbocharged 2.0-litre engine, it’ll go from 0-60mph in just 4.6 seconds. Power is sent to all four wheels via a seven-speed dual-clutch automatic transmission. Mercedes-AMG claims that it’ll return up to 39.2mpg combined, and emit as low as 164g/km CO2. Tobias Moers, CEO of Mercedes-AMG, said: “Sport saloons are the origin of Mercedes-AMG and part of the brand’s core. 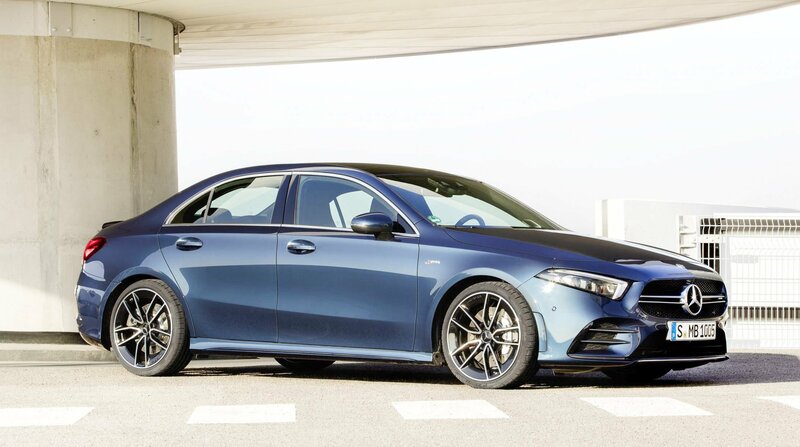 With our new A35, we are transporting this history into modern times in the form of a very attractive model that serves as a point of entry into the world of AMG and also appeals to new customer groups”. The A 35 saloon benefits from a range of dynamic styling touches, including 18-inch five-spoke alloy wheels, two-part tail lamps and a new diffuser at the rear. The Mercedes-AMG A35 is due to go on sale in the summer. Please call our friendly sales team on 0161 826 9716 to pre-register your interest. 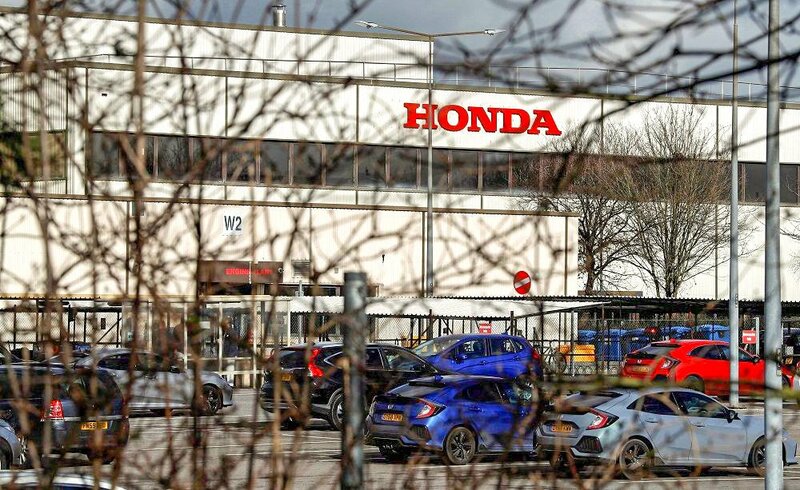 BMW has been poking its nose around Honda’s 370-acre car factory in Swindon which the Japanese company has announced will shut in 2021. The huge German car maker is understood to have expressed an interest in the site after Honda announced in February that it intends to close the factory when it finishes production of the Civic model, with the loss of over 3,500 jobs. There are claims that BMW is interested in buying the plant from Honda in order to transfer more vehicle production to the UK. The German automaker is apparently in discussions to take over the site in 2021 to build the best-selling X1 SUV and other models there. Acquiring the Swindon plant could make sense for BMW which already has a pressing plant near Swindon, an engine plant in Hams Hall, and the MINI assembly facility in Oxford. BMW is said to be looking at expanding its manufacturing operations in the UK and Honda’s plant could fit perfectly with those plans. The MINI Oxford plant has no room for added capacity which is why BMW also contracts a significant chunk of Mini production to the VDL Nedcar plant in the Netherlands. Škoda UK has introduced a new, more powerful 2.0-litre 190PS TSI petrol engine option for its Karoq and Kodiaq ranges of SUV. It will suit drivers looking to combine greater performance with added refinement and efficiency. Karoq customers can specify the new engine in SportLine form. It develops 320Nm of torque between 1,400 and 4,100rpm and delivers its power to all four wheels via a seven-speed DSG gearbox. Despite its strong performance, the 2.0-litre TSI 190PS engine returns 33.2 - 32.1mpg on the WLTP combined cycle and emitting 158g/km of CO2. In the Kodiaq, the new engine is available on the SE L, Scout, SportLine, Edition and L&K equipment levels and is also fitted only with a seven-speed DSG and four-wheel drive as standard. The new engine is available to order now across both Karoq and Kodiaq ranges. Please call our friendly sales team on 0161 826 9716 to discuss our best leasing deals. Smart is getting a new owner in a deal between current parent Daimler and China's Geely Holding. The two companies announced recently that they are forming a joint venture to run Smart, in which each holds a 50 per cent stake. Daimler has owned Smart entirely since 1998. 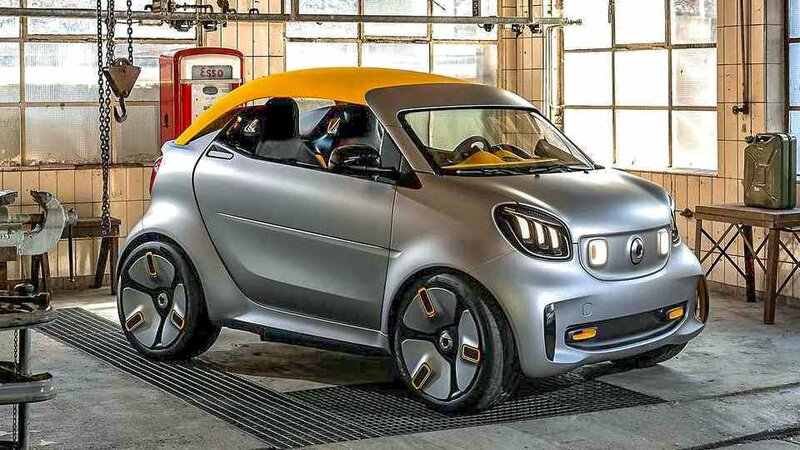 The new Smart will launch a new all-electric model that will be built at a new factory in China from 2022. Mercedes-Benz Design will handle styling for the future Smart models, while Geely will handle engineering and production in China. In addition, Smart wants to expand beyond today's micro cars, with plans for the model range to be extended into the fast-growing B-segment (Clio, Polo, Fiesta, Yaris, etc.). Though Daimler does not release Smart's financials, reports suggest the brand had been struggling in recent years. News of the joint venture comes on the heels of reports that Daimler was considering killing off Smart, but Geely's intervention assures survival for the brand. At the rear, the hatchback appears to have a lower roofline that gradually slopes downwards, affording a more sporty appearance. The boot lid also appears to be wider than the old car which will enhance practicality. 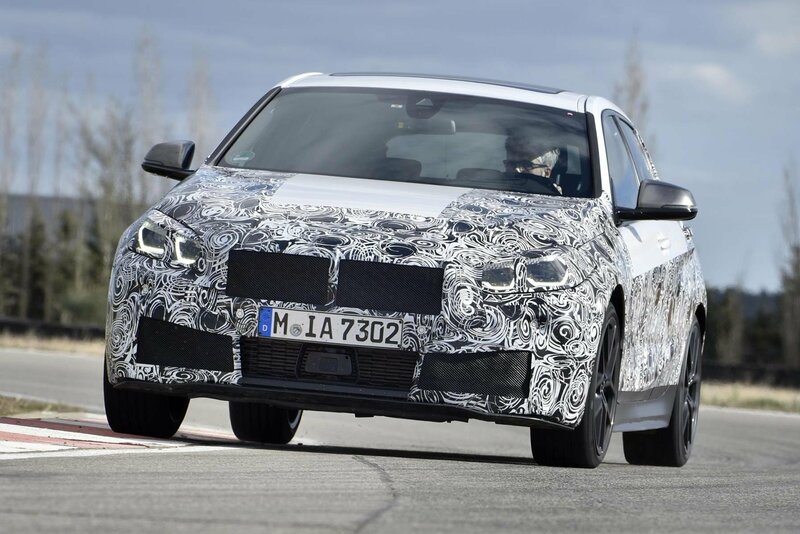 BMW has already confirmed that the that the new 1 Series will be front-wheel drive, as opposed to the rear-wheel drive layout that has featured on every version of the hatchback since its arrival in 2004. Being in the car puts a barrier between you and the outside world, but germs and bugs can still slip in through the air. Jaguar Land Rover wants to kill them off before they can get to the cabin. The company put forward a concept that would use ventilation systems to neutralise superbugs and pathogens that cause infections like ‘flu and the common cold. The idea would equip future vehicles with ultraviolet light technology (UV-C). It’s the same kind that has been used by the medical community for more than 70 years. UV-C is utilised to disinfect water by filtering air and sterilising surfaces. It uses wavelengths of light between 200 and 280 nanometres to accomplish this, which disrupts the DNA of different pathogens and leaves them unable to perform their most basic cellular functions. Jaguar Land Rover wants to install that UV-C technology into the air conditioning systems in its vehicles. By doing so, the cars could potentially neutralise pathogens from the outside world as they enter the car and kill them off before they ever reach the cabin. According to Jaguar Land Rover, it is already using pathogen-neutralising technology in some of its latest Heating, Ventilation and Air Conditioning (HVAC) systems, including those found in the all-electric Jaguar I-Pace and Range Rover Sport. However, the UV-C system could prove to be even more effective and have a bigger impact on killing off the germs that spread things like the common cold and ‘flu. SEAT has unveiled its electric car strategy which will include six new electric and plug-in hybrid models. 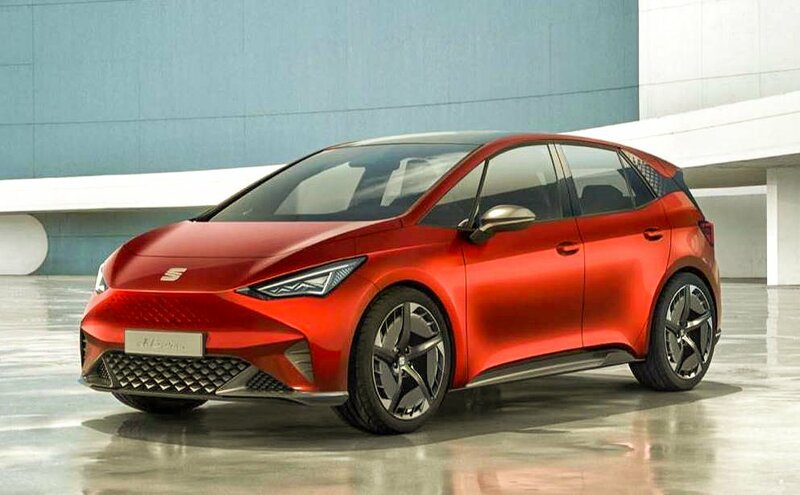 An electric version of the Mii city car and a production version of the el-Born concept shown at the recent Geneva Motor Show will be the first models, with the next generation of the Leon and the Tarraco coming in plug-in hybrid variety. Underpinning the new models will be a modular vehicle platform, which will be a smaller version of Volkswagen's Modular Electric Drive Toolkit (MEB). It will be the first time the brand has collaborated with parent firm Volkswagen on such a program. SEAT's new strategy will also encompass a micromobility strategy, which will involve a production version of the recently unveiled Minimó concept car, as well as the electric SEAT eXS kick scooter.